Gutierrez GM, Knight CA, Swanik CB, et al. Am J Sports Med. 2011; Sept 14 (Epub ahead of print). Clark Christianson, PT, MPT from Glencoe, Minnesota. Previous research found that those with ankle instability demonstrated reduced activation of the peroneal musculature before touchdown in several different landing techniques, which resulted in an increased amount of inversion of the ankle. To date, no one has investigated both preparatory neuromuscular control and reflex responses to a perturbation in individuals with ankle instability. The purpose of this study was to assess the preparatory and reactive muscle activation and kinematics in 3 groups before and after landing on a supinating surface. This was a controlled laboratory study in which a total of 45 people were recruited from a university community. Individuals were categorized using the Cumberland Ankle Instability Tool (CAIT). Individuals with a history of ankle sprain who experienced repeated episodes of “giving way” and had a score of 24 or fewer on the CAIT questionnaire were included in the Ankle Instability (AI) group. Individuals in the Lateral Ankle Sprain (LAS) group had a history of ankle sprain but no reports of instability, and scored nolower than a 28 on the CAIT. The control (CON) group was uninjured on either ankle and scored above a 28 on the CAIT. There were 15 individuals in each group. 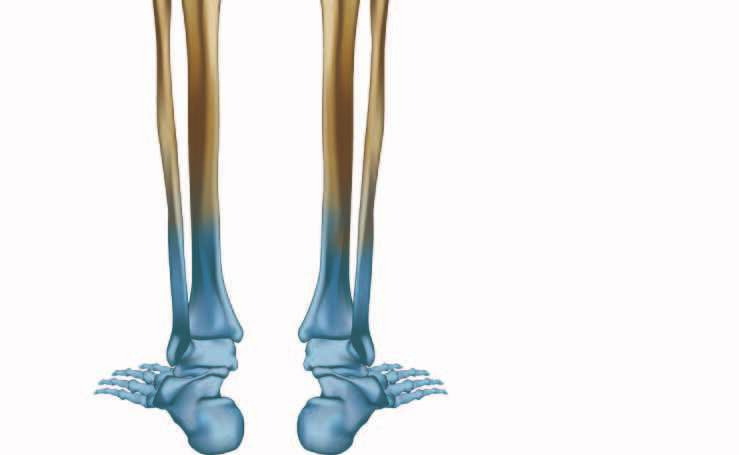 Joint laxity was measured with a custom ankle arthrometer. EMG was measured on the tibialis anterior (TA) and peroneus longus (PL). 3-Dimensional kinematic analysis was performed using 8 cameras on the lower extremities. A drop-jump test off a 30cm-high take-off platform was used where the subject landed on both feet, with their test leg contacting the supinating device. After 2 familiarization trials, 20 consecutive trials were performed while only 12 were used for analysis. The AI group displayed significantly increased preparatory (P=.01) and reactive (P=.02) peroneal activation, while the LAS group demonstrated a trend toward increased preparatory TA muscle activation.